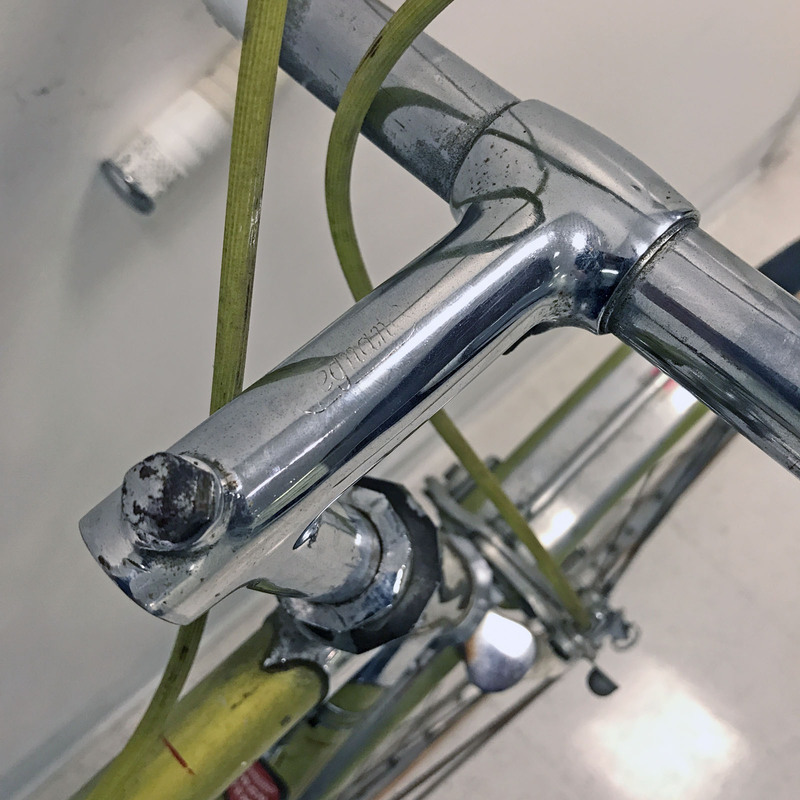 This completely original Gran Premio was purchased in October 2017 from its original owner, Dr. Safran of New Jersey who purchased the bike in 1959 (Magistroni cranks stamped 58). 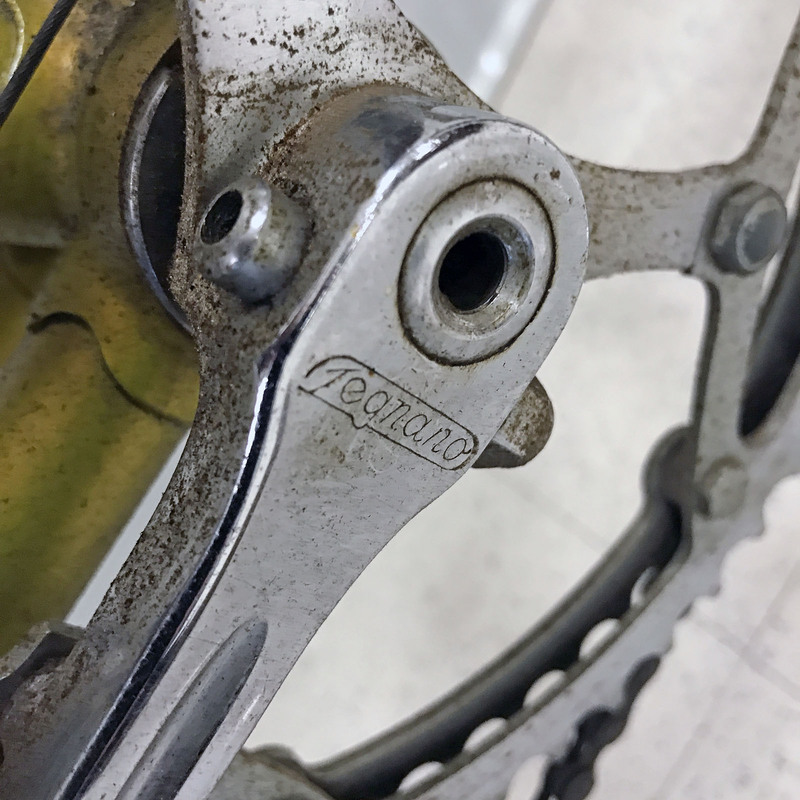 This is one of the most original Legnano bikes that I have been able to acquire and only a single nut on the rear Universal brake calliper has gone missing over the years and no component replacements other than the brake lever hoods that will be an easy correction. 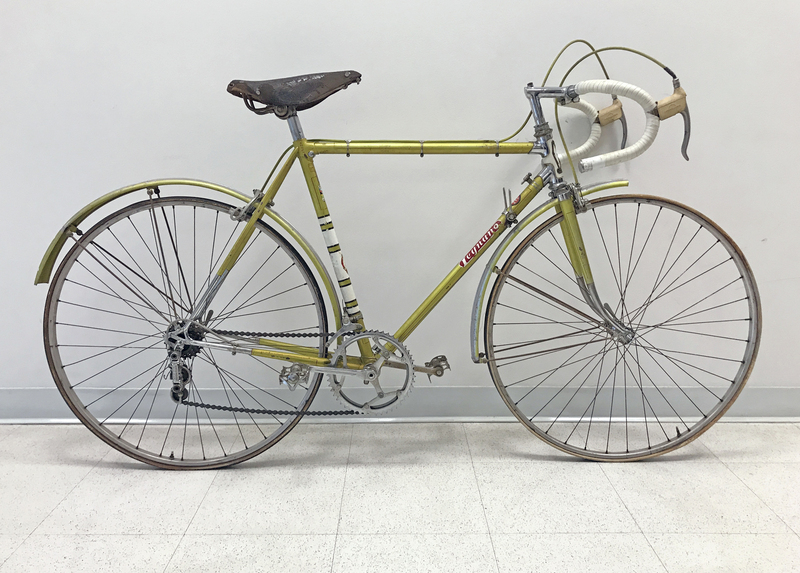 This Gran Premio is also a unique find in that the original aluminium fenders are still with the bike as well as the original Impero hand pump (not shown above) branded for Legnano. 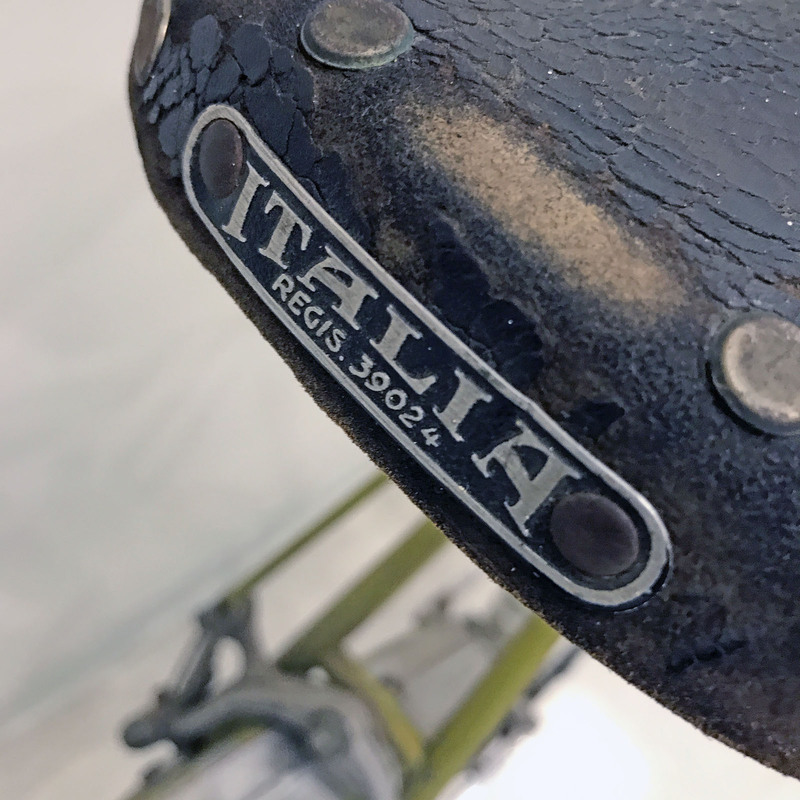 Way-Assauto ‘Sprint’ pedals branded for Legnano. 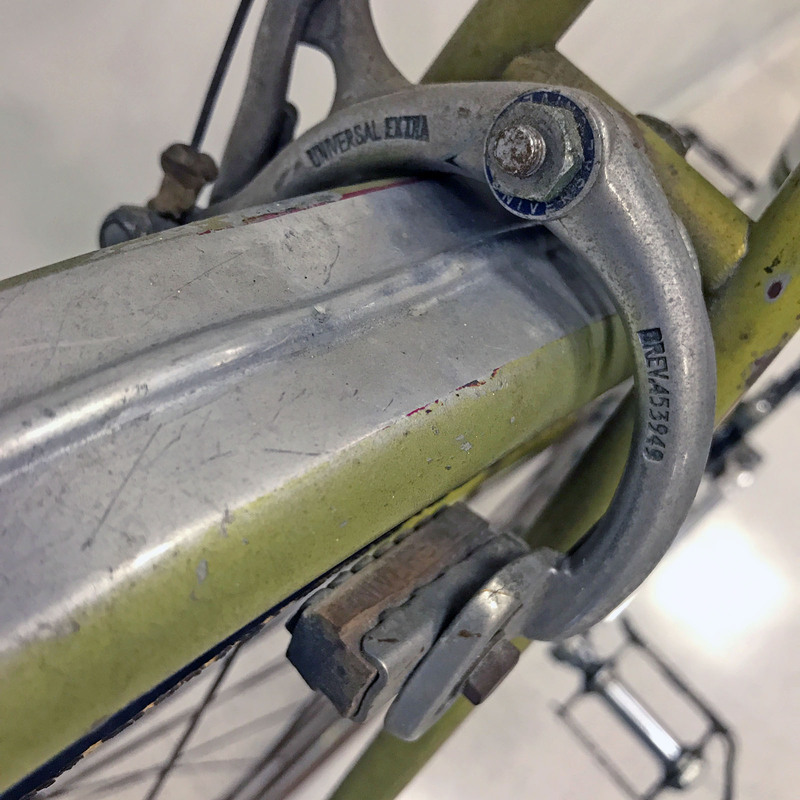 Universal Mod.51 sidepull brake callipers. 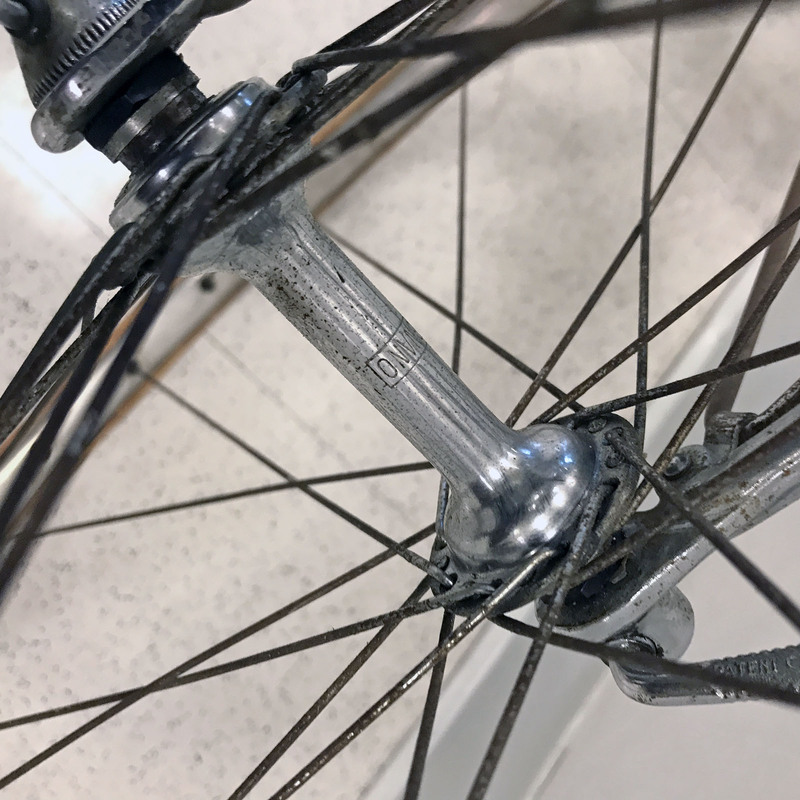 Campagnolo ‘Sport’ low flange hubs front and rear. 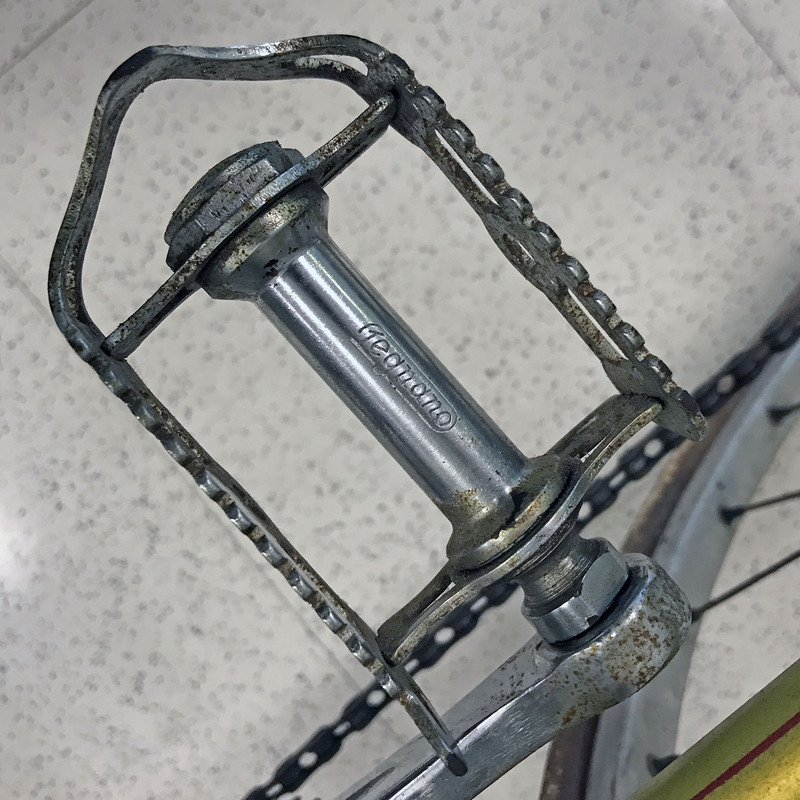 Way-Assauto cranks branded for Legnano with original hollow cotter pints.